One of the most iconic hotels in the heart of the city, the Mount Nelson, has been hosting planning and hosting weddings for more than 100 years. With its lush garden and classic ballroom-style reception rooms, and the hotel’s banqueting team to take care of every detail of your special day, you can look forward to an elegant, stress-free wedding. Nestled against the majestic peaks of the Twelve Apostles mountain range and looking out over the Atlantic Ocean towards Camps Bay and Lion’s Head, the view from the Twelve Apostles Hotel is hard to beat. The hotel has four wedding venues to choose from, with an in-house wedding coordinator at at hand to assist with every need. Just around the corner from the Twelve Apostles Hotel lies Suikerbossie Restaurant in Hout Bay. Set against the slopes of the Table Mountain National Park, this restaurant with its warm, cosy atmosphere overlooks Hout Bay valley and the famous Chapman’s Peak. While the restaurant has two venues that cater to weddings of different sizes, its magnificent gardens is also very popular. Tucked away in the Glen on the slopes of Lion’s Head is the famous Roundhouse Restaurant. Once the hunting lodge of Lord Charles Somerset, the more than 300 year old venue is the perfect place to celebrate your special day. The restaurant accommodates weddings of various sizes and the events manager ensures that guests’ every need is catered to. This quaint, eco-conscious hotel & spa is located in the heart of Cape Town’s South Suburbs. 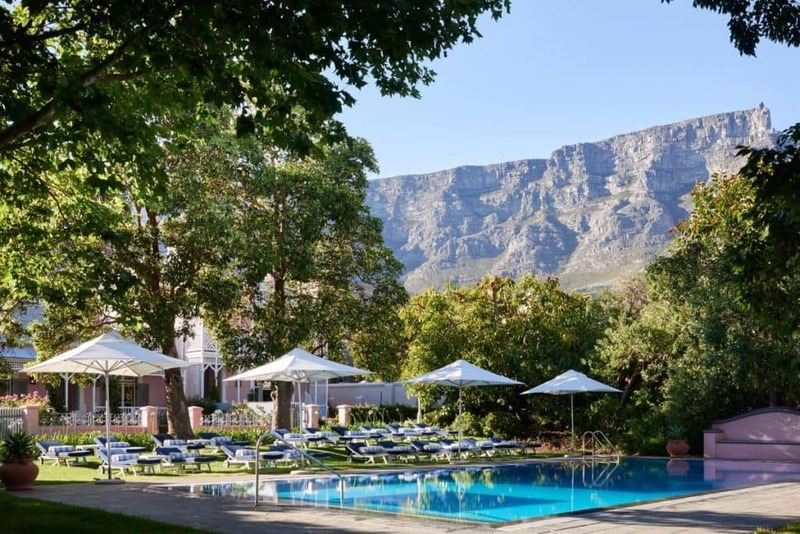 With its spectacular backdrop of the forested slopes of Table Mountain, the hotel offers the choice of an intimate, private ceremony or a tailor-made reception for you and your guests. Boasting arguably one of the best locations in Cape Town, Harbour House in Kalk Bay is quite literally sitting on the ocean. Built on the breakwater and situated in the Kalk Bay Harbour, the restaurant boasts incredible views of False Bay and is well known for its fantastic seafood dishes. It is also a laid-back and chic venue to host your wedding reception – ensuring your guests remember your wedding for years to come. 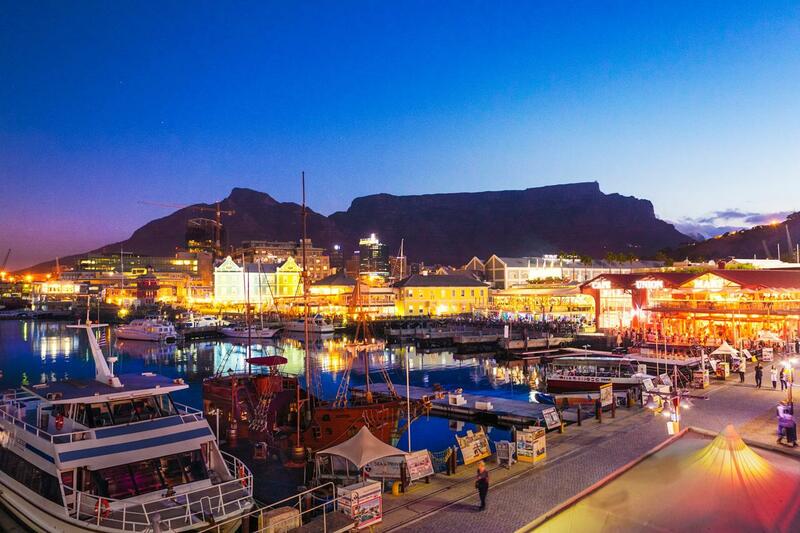 A trendy option for your impending nuptials is the world-famous V&A Waterfront in the heart of Cape Town. The Dock House is a glamorous boutique hotel and spa that caters to the needs of discerning guests, while the Victoria & Alfred Hotel has an inspiring history and an impressive location on the pier. The beautiful, sweeping Vergelegen Wine Estate is steeped in history and is a Cape Town landmark. The grounds are beyond pristine and boast some of the oldest living trees in the country, which stand silent guard over the three-century old estate. Make your vows beneath these giant guardians and dance the night away underneath the stars at one of the most spectacular spots on the planet.